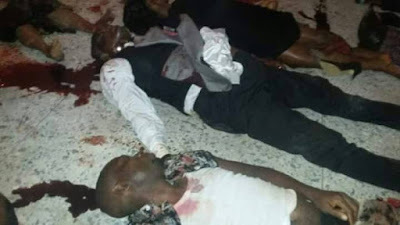 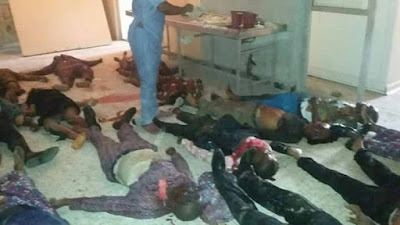 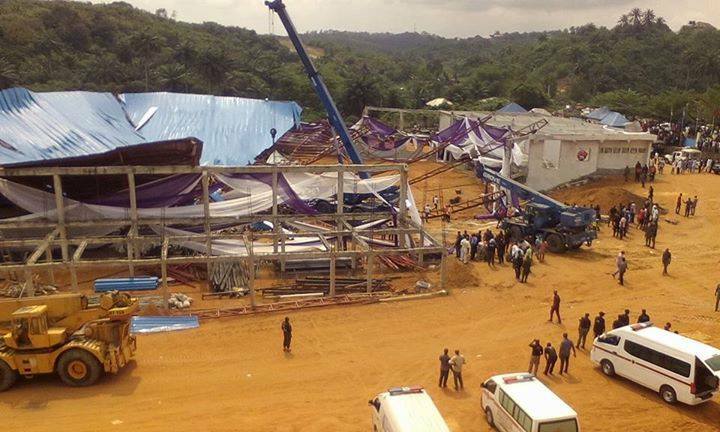 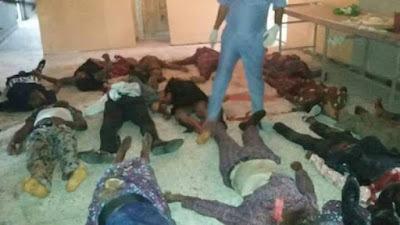 About 18 people lost their lives when the doomed roof of the Reigners Bible Church in Uyo collapsed today during the bishop ordination of Akan Weeks, the owner of the church. 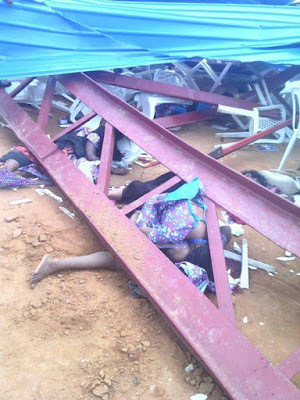 VIEWER'S DISCRETION IS STRONGLY ADVISED AS YOU SCROLL DOWN to see photos from the church collapse. 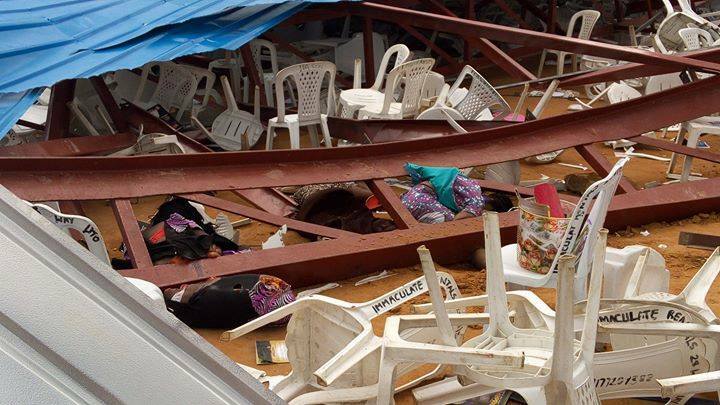 "The incident occurred immediately after offertory collection, while the ordination of Apostle Akan Weeks as Bishop was the next item, according to the programme." 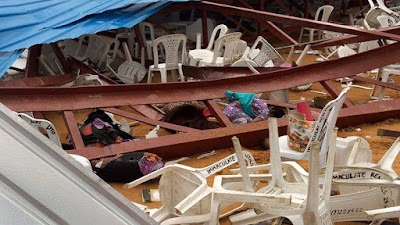 "We heard a strange and loud sound, then the building started falling." 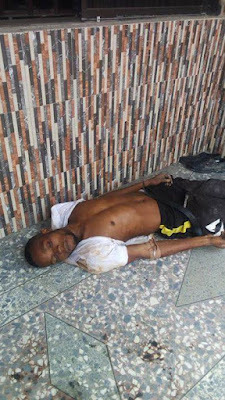 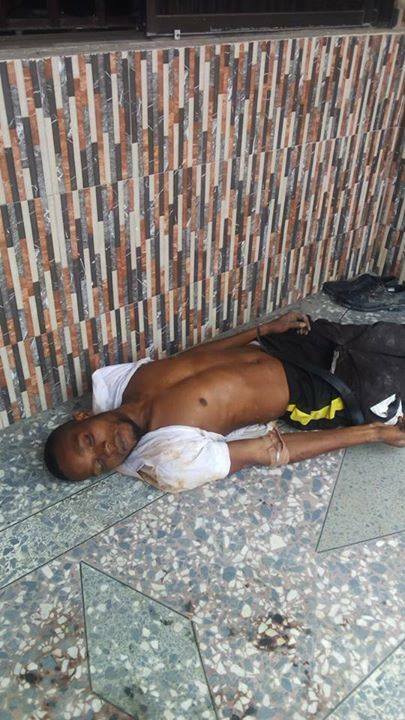 "Governor Udom would have been no more, but for one of his aides who immediately pushed him out of the building. 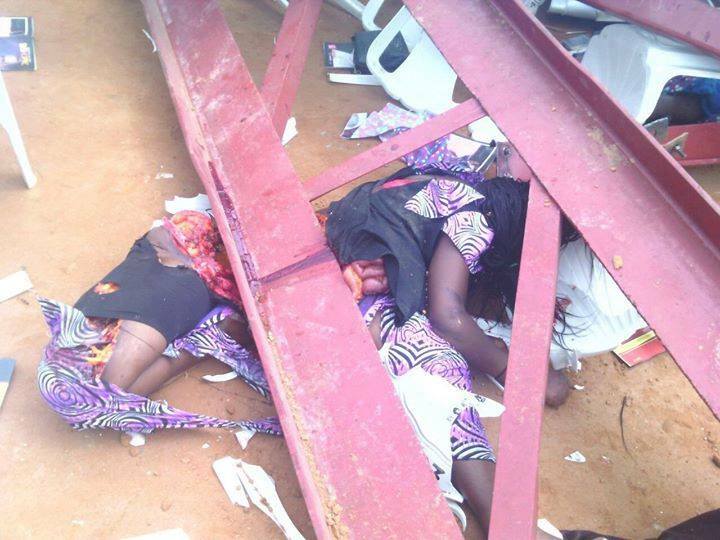 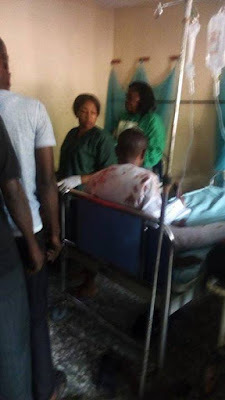 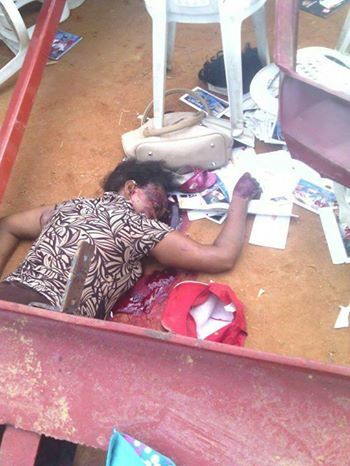 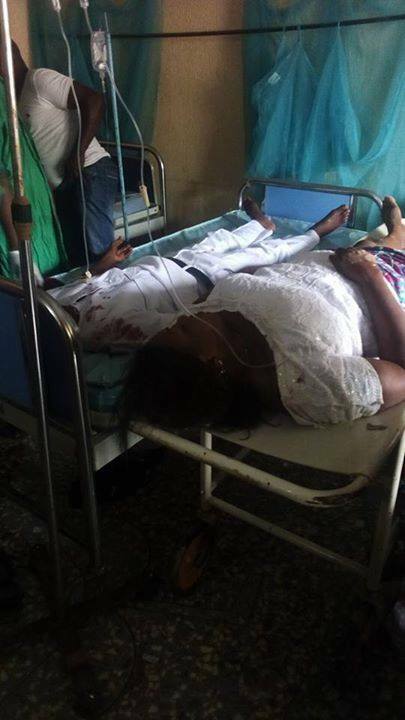 Unfortunately, the aide was killed by the fast descending roof after he pushed the governor who fell outside."